PHILIPSBURG — Gamblers who put their money on number games whereby the numbers are drawn with bingo balls could have a problem on their hands. Minister Stuart Johnson (Tourism and Economic Affairs) told the Central Committee of Parliament last week that the bingo balls lottery companies in St. Maarten use for their draws have not been calibrated since 2009. 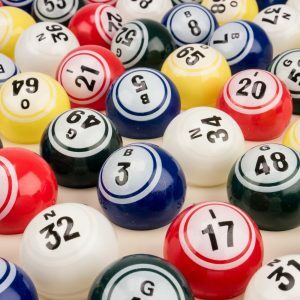 For players this potentially means that their already slim chances of hitting a jackpot are even further diminished if lottery operators have tampered with the weight of the bingo balls. An infamous example of how this works stems from the so-called Triple Six Fix scandal that occurred in the state of Pennsylvania in 1980. A three-ball draw for a jackpot of $3.5 million returned as result 6-6-6. Later it turned out that all balls that were not a 4 or a 6 had been weighted down to influence the outcome of the draw. And lottery balls are not the only reason for concern about the fairness of the game. Take for instance scratch lottery tickets. Caribbean Lottery for example offers six different scratch lottery games, like Lucky Numbers (“Win up to $100,000”) and Break the Bank (“Win up to $40,000”). But the odds offered to players remain obscure if the lottery company does not inform players about the number of tickets that are in play in a certain game, and how many prizes there are. For instance, if the $100,000 top prize in the Lucky Numbers game is gone, those who continue to play will have zero chance of winning it; yet the text on the lottery tickets remains unchanged, giving players the incorrect idea that they could still win that money. This issue was however not addressed during the central committee meeting. Here is another issue: St. Maarten’s lottery ordinance decrees that lottery operators are due “a financial contribution” that will be used at the Minister of Tourism and Economic Affairs’ discretion for social projects. Caribbean Lottery operates its games on behalf of its beneficiaries, it states on its website. Those beneficiaries are located in the British Virgin Islands, Anguilla, St. Kitts & Nevis and Antigua & Barbuda. For these beneficiaries Caribbean Lottery earned $2.1 million in 2016. St. Maarten is not mentioned as a beneficiary. Minister Johnson told the central committee that areas that have to be regulated are server and database requirements (for instance for electronic bingo), drawing by machine, mixed balls or certified random number generators (RNGs) and game operating procedures. “This all goes far beyond checking the weight of bingo balls,” the minister said. According to the current lottery ordinance, lottery companies have to pay a license fee equal to 10 percent of the gross revenue from tickets sold plus a monthly license fee. In the draft 2019 budget the government projects 2.5 million guilders in revenue from the lottery ordinance – up from around 655,000 in 2017 and 842,000 in 2018. For games of chance (casinos) the government projects an income of 6.5 million guilders, up from around 5 million in 2017 and 3 million in 2018. For the establishment of the Gaming Control Board – an entity that successive governments since 2010 have failed to set up – there is a reservation of 250,000 guilders in the draft budget. Part of this money could be used to establish a consumer protection agency, Minister Johnson told the central committee.